We are planning for a little grandchild around here and crafting mode is in full swing. I will share some of the craft tutorials here with y’all. 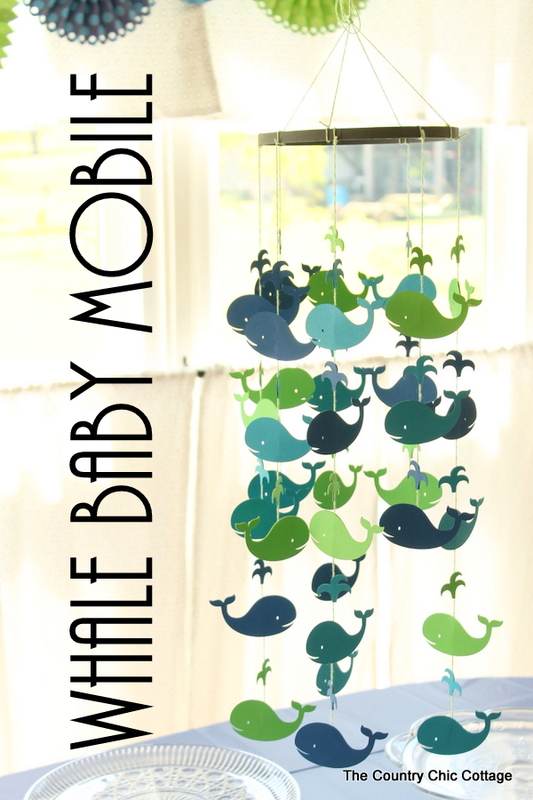 This whale baby mobile turned out too cute and you can definitely use this same technique to make a mobile in any theme. Grab your paper and glue! 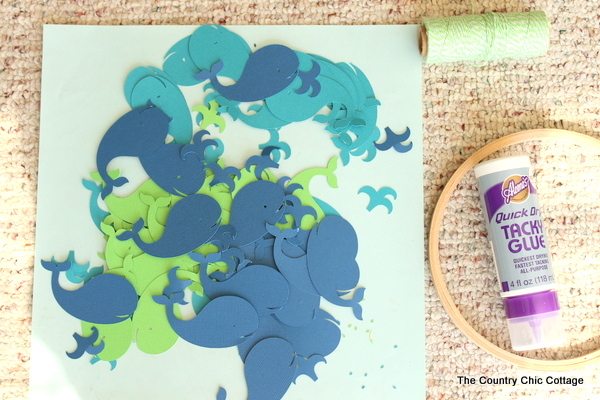 Start by cutting out a ton of different color whale and water shapes from card stock. I used my Silhouette and traced an image I found online. You can use any craft cutter you have or buy shapes online (try etsy y’all). You will also need twine, an embroidery hoop, tacky glue, and paint. 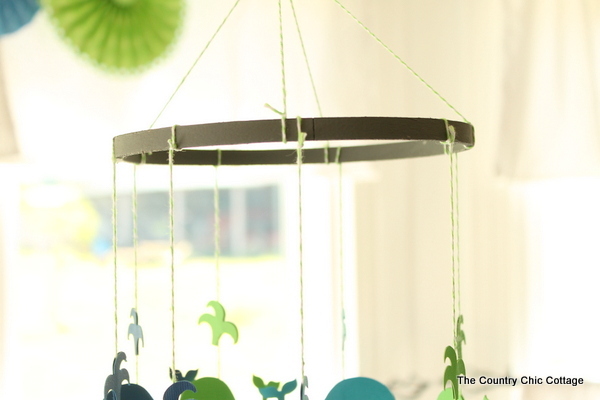 Paint the inside of the hoop the color of your choice and set aside to dry. Cut the twine into long and short strips. I used four of each size. 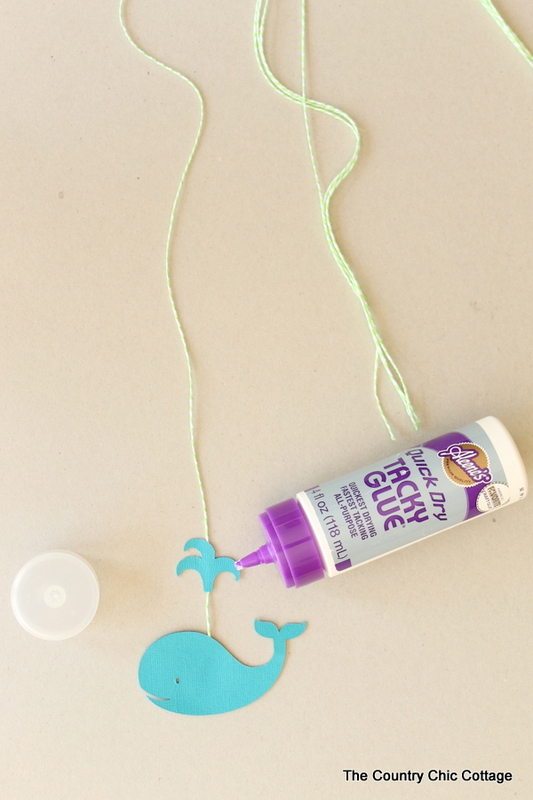 Then sandwich the twine in between two paper pieces using tacky glue to secure. 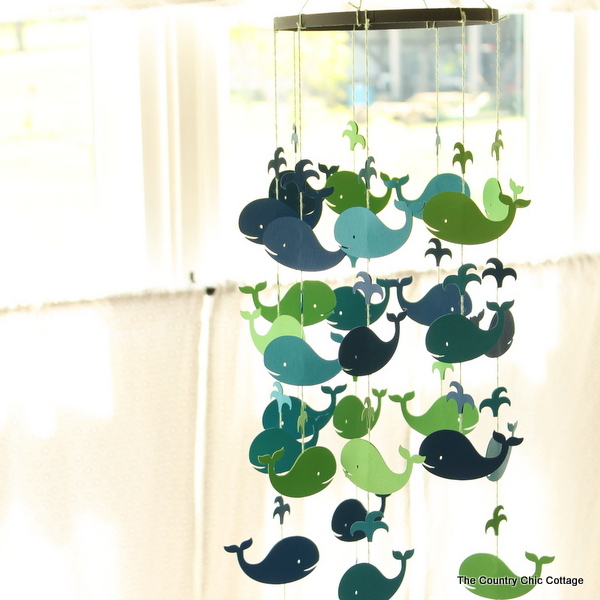 So lay down one whale, apply glue, lay down twine in the middle, additional glue on top of twine, and lay a whale on top. Wipe away any excess glue. Allow all of your whales on twine to dry before continuing. Tie on each to the hoop spacing equally. I did one long, one short, one long, one short, and so on. I just tied in a triple knot and then trimmed the excess. It was very secure. You will also need something to hang it by at the top. I used two strands of twine and tied them on opposite sides of the hoop. I gathered them at the top and tied in a loop for hanging. Trim any excess and this one is ready to hang. I love the way that the whales spin on their strings. This is a fun project that doesn’t take too long. 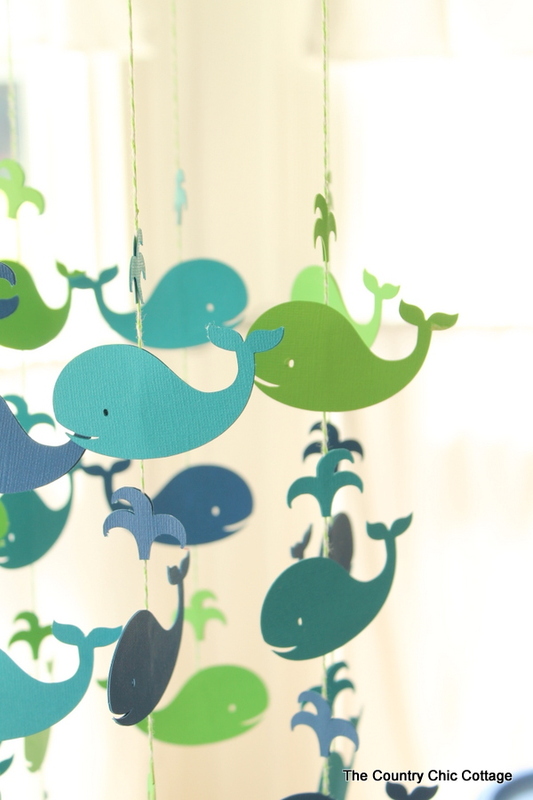 If you don’t love the whales, change it up to any animal or shape that will work in the nursery you are planning. 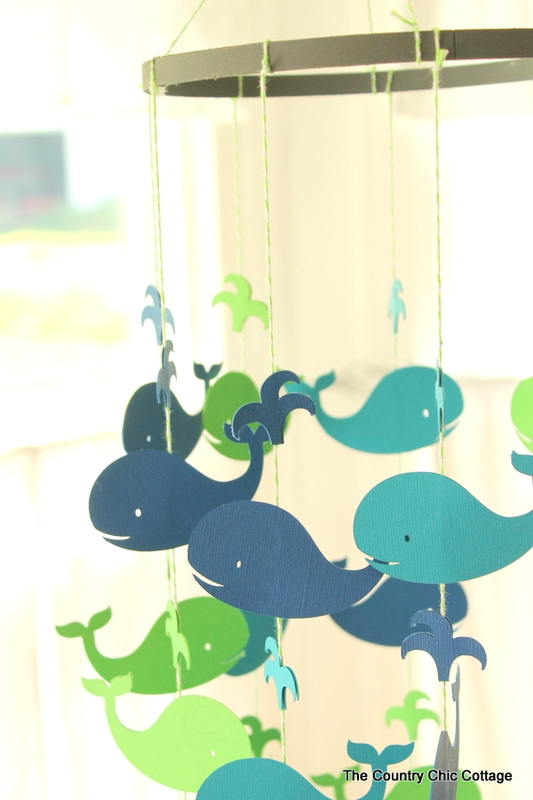 I am so glad my daughter loved this whale baby mobile! NOTE: Be sure to keep this mobile out of baby’s reach. When hanging please take into account that baby will get older and stand in the crib.